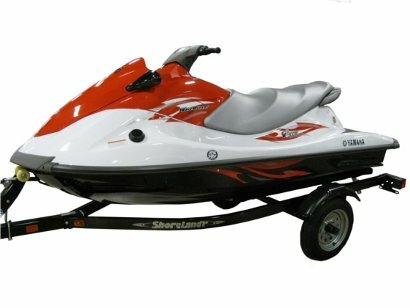 The key to prolonging the life of your watercraft is regular maintenance. 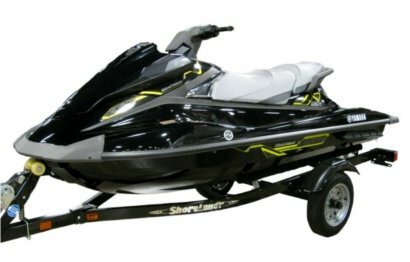 Help maintain your jet ski's appearance by covering it. Here at Boat Covers Direct®, our focus is finding the best selection of top quality covers for your personal watercraft. We offer covers by Carver, Covercraft, and Westland. Carver personal watercraft covers are made to fit a wide variety of makes and models. Available in Performance Poly-Guard and Sun-DURA, you can expect a generous fit from this cover. Don't know your make or model? No problem. Carver covers can be easily ordered using only the length, width and height of your unit. Made in the USA, each Carver cover features ¼” shock cord in the hem for a snug fit and reinforced tie down loops for use with our tie down straps (included). Covercraft personal watercraft covers protect against UV damage, air pollutants, tree sap, and many other environmental elements that can damage your finish. These covers are available in your choice of Sunbrella or Ultratect. These trailerable covers are made with extras including reflexite safety strips (for extra warning notice when the PWC is moored or on a trailer), mesh bag, zippered gas cap, and zippered access for vest and wet suit storage. Want a custom cover? Covercraft and Westland make the industries' best. Westland custom covers have a draw rope sewn into the base of the cover. Sewn in loops can be used with straps or bungee cords. Available materials include Sharkskin Supreme, a lightweight and durable material warrantied for 7 years, and Sunbrella, the premium long lasting fabric in the marine industry, which offers a 10 year warranty. Need to cover your PWC ASAP? We can help! Many of our covers can be manufactured and ready to ship within as little as 3 business days.